ACS Calibration offers a wide range of calibration compliance and validation services including test fixtures, in process instrumentation, and automated systems to ensure that your FDA, ISO, ASTM, IATA, FAA, CFR, GLP, GMP, or other regulatory requirements are being met.. We specialize in the automotive, research and development, medical, paper and pulp, nuclear, and aerospace industries. 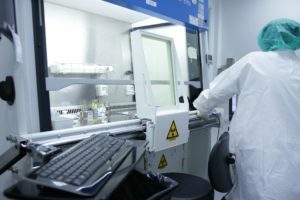 Our ISO / IEC 17025 accredited, National Institutes of Technology (NIST) traceable calibration compliance and validation services will ensure that your instruments can be trusted for accuracy and repeatability. ACS Calibration is committed to providing our customers with high quality calibration services in compliance with the governing standards of this industry and to help customers meet their regulatory needs. ACS Calibration on site calibration compliance and validation services minimize down-time, eliminate the need for costly backups, and increase productivity. 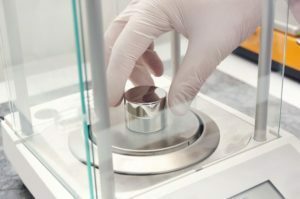 In addition, many instruments require on-site calibration compliance and validation either due to size (oven) or sensitivity (analytical balance). Our highly trained calibration technicians can travel to your facility and perform calibrations, validations, or other services on your equipment. A major advantage of scheduling an on site calibration compliance and validation event with ACS Calibration is that instrument calibration compliance and validation services are performed in the environment it resides, providing the most reliable results. For in process calibrations, technicians meet with your representative to understand how an instrument or system is used and the process specifications, including regulatory requirements. A calibration or validation test plan is developed and executed in accordance with the requirements and adjustments to instrumentation are made as necessary. ACS Calibration compliance and validation services help organizations document that their automation systemsare performing as expected in compliance with Current Good Manufacturing Practices (cGMP), including Title 21 Code of Federal Regulations part 11. ACS Calibration can help you develop a validation plan, design and implement qualification protocols, document standard operating procedures and audit installations for compliance. 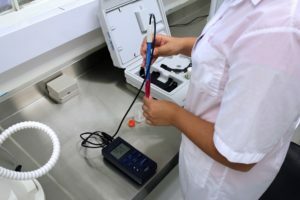 ACS Calibration offers a wide variety of calibration, compliance and validation services to ensure that your instrumentation and equipment meet FDA, CFR, FAA, or other requirements including temperature mapping, stability chambers, autoclaves, ovens, and laboratory equipment. Find out more! k=2? GUM? RSS? Uncertainty distribution? Degrees of Freedom? 4:1? Z540.3? Type A vs Type B? Repeatability vs Accuracy? ACS Calibration uses our knowledge of uncertainty to help guide your organization through the risk management processes associated with instrumented measurement uncertainty. Our extensive knowledge of measurement science principles and methods, calibration equipment, and experimental design, combined with our suite of analytical tools provides a powerful problem-solving resource. Let us help you develop an uncertainty budget for your process to ensure that requirements are being met. Our calibration, compliance, and validation services can assist with statistical analysis, validationreports, failure investigations, and other quality related issues. Find out more! Are you having trouble with your equipment failing calibrations? Are you having issues with your equipment becoming damaged? Let us help you ensure that the equipment is being used properly for the assigned task with the appropriate handling techniques. We will work with you to develop a plan for troublesome instruments or work to replace them with a more durable model. ACS Calibration can help you purchase the right instrument for the job the first time. We will review your requirements, whether procedure or regulatory, and work with you to ensure that your instrumentation will serve its intended purpose for accuracy, repeatability, and durability while meeting budget demands. Find out more! Procedure development is a critical component of any facility, whether manufacturing or research and development. ACS Calibration provides expertise in quality management, documentation, validation, and implementation of Standard Operating Procedures (SOP), Work Instructions, or Methods, allowing your organization to focus on its core mission. ACS Calibration works with you to develop procedures that will allow you to generate product or data with the accuracy and repeatability that meets or exceeds operational goals. 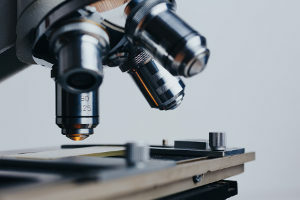 Whether the scope and application of your proposed method is standard, laboratory based, or non-standard, your organization will be required to develop operating procedures for its consistent execution - Let us guide the way. Find out more! Contact Us Today for Compliance and Validation Services!